I was just wondering if anyone knows what you actually receive when you help someone with a helicopter order? 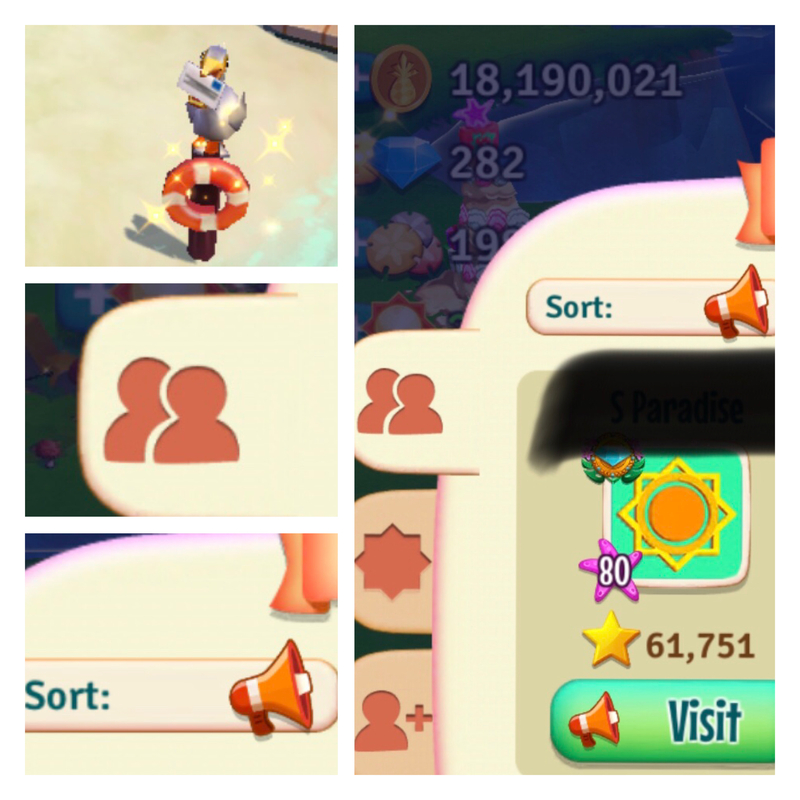 I just filled two help requests for a member of my beach club and when I went back to my island it looked like it had given me some coins and experience. I've noticed that it gifts automatically for you to thank helpers but just curious if anyone knows exactly what you get. The amounts for each are displayed in the help request box. Thusly... By the way, that helicopter order is absurd. The player is at level 25, but who at any level would ever even have 16 dolphin necklaces? Bonsoir. Quelqu'un sait comment faire décoller l'hélicoptère une fois la commande finie ? Merci. Et pour répondre à kristina0111, quand je reçois une aide et que je veux la remercier, ça fonctionne pas bien, visiblement. Dans votre jeu, allez à vos réglages cliquez sur le clic de vitesse aide> soutien de joueur> appui de contact remplissent le formulaire. Assurez-vous de donner au joueur son numéro d'identification de jeu, qui est répertorié au bas de l'onglet Aide. Dites-leur quel problème vous avez et ce que vous avez essayé. @Kristina0111 I think the amount of coins and xp you get coordinates with the value and difficulty of the items you give. Therefore can not give you a perfect number answer. Good news is you were able to help! I find if I leave one container open to be filled by me, I also get to send thanks to the helpers. I have never received help on an order, but I have helped many. I find that thank you gifts have ranged anywhere from one seared fish, a sunshine, a sugar scrub, most often coins from 325 -700. No idea what determines the gift? The game? The receiver? The game determines the gift sent. I wish we could choose what was being sent to our friends as a gift. Can anyone tell me how do you know if anyone wants help with helicopter orders, I have asked for help and I would like to help others if I can but I don't know how to find out. Look on your buddy list. Find the Sort by tab on it.Click that tab until it shows a megaphone. Those buddies who have a megaphone on the visit tab, need help on their copter. @zarabella Click on the pelican, followed by the first tab of your buddies list, then click on sort until the megaphone appears, and click on visit tab of the one’s that have a megaphone to reach there island. From there click on the helicopter. 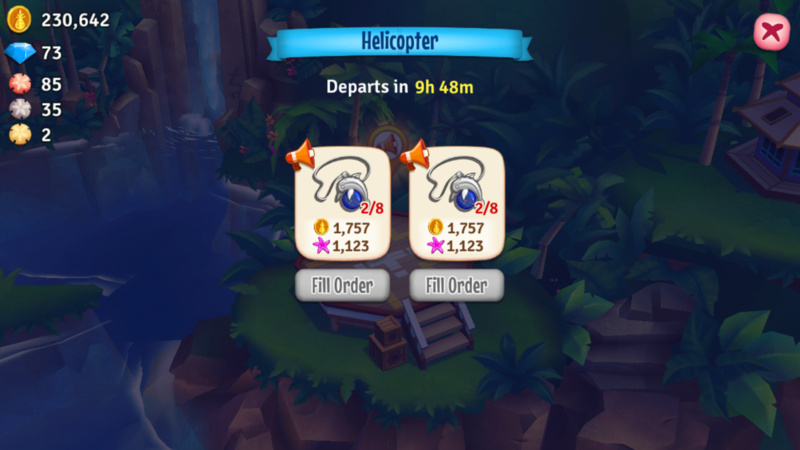 While you are visiting you can have the option to fertilize their island. Brilliant guy's thanks very much for help.